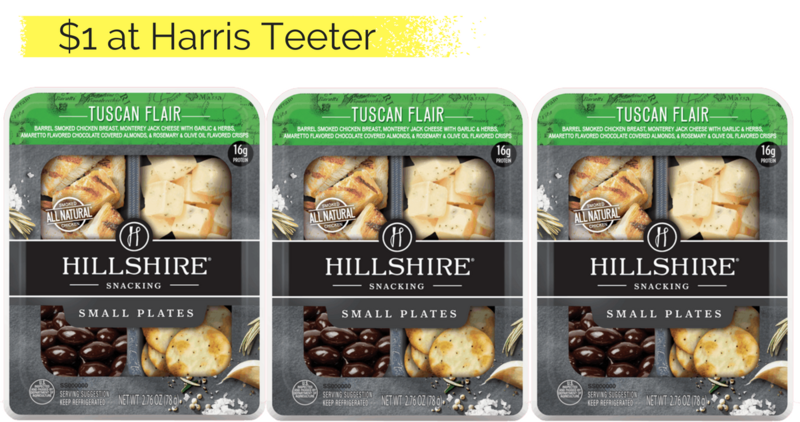 Head to Harris Teeter through tomorrow to get a good deal on Hillshire Snacking Plates! Pair in the new .75/1 Hillshire coupon with a sale to get Hillshire Snacking Small Plates for only $1. Make sure to look through the Harris Teeter weekly ad as well to find more current deals.